The history of Voksi® began back in 1986 when the very first stroller bag was developed. Since then, the family-owned Norwegian brand has continuously been developing and launching new products with focus on high quality, functionality and carefully selected materials. Always with your and your child’s well-being in mind! Are you a parent that is often on the move and seeks practical and stylish solutions to your family’s travel needs? 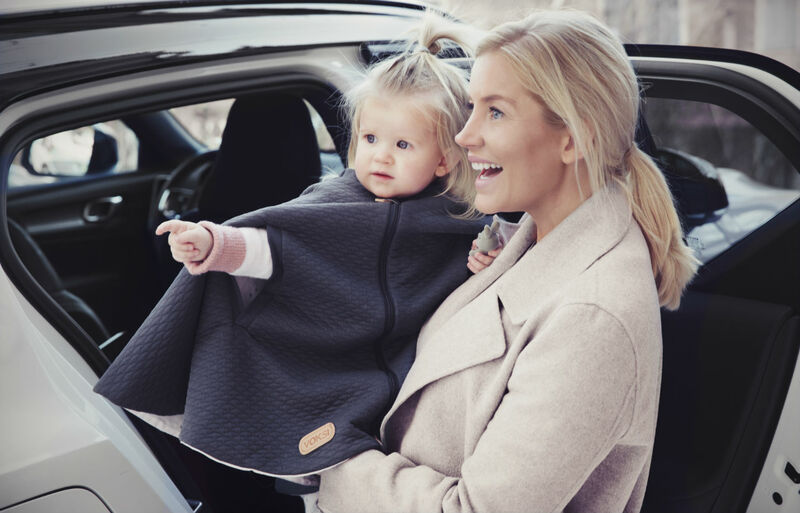 When we developed the Voksi® Poncho we wanted to create a product that would keep you child comfortable and protected in their car seat, while not restricting the safety in the car. Our goal was also to make a product that could be used inside and outside the car. We hope that you will like this practical solution that is a great alternative to wearing a jacket in the car. 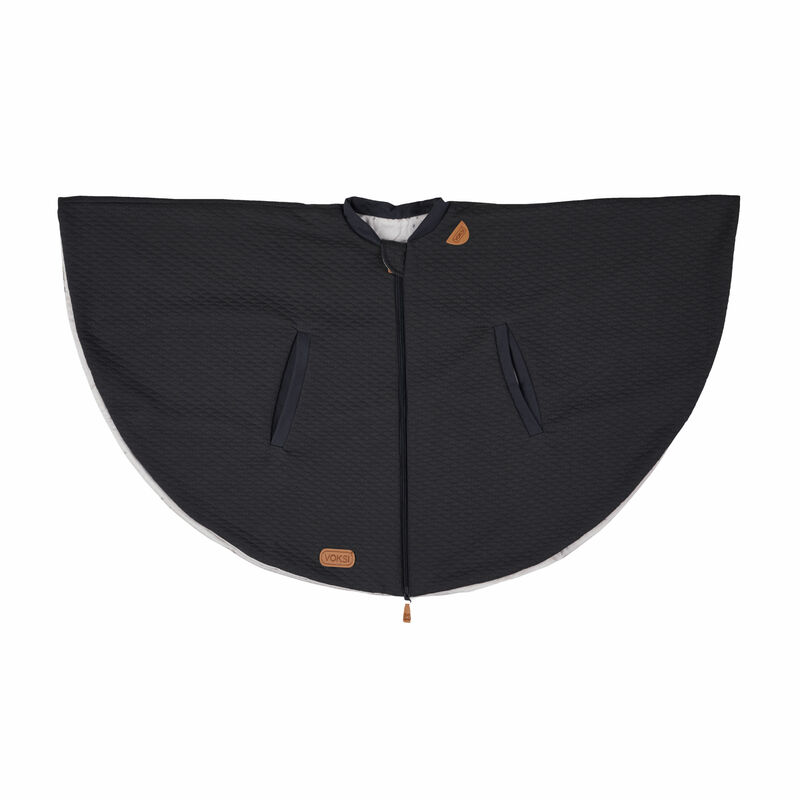 The Voksi® Poncho can safely be safely worn in child car seats in the car, but also keeps the child warm and cosy on any other everyday adventure as the perfect midweight alternative to a coat. In cold weather, you should always remove your child’s thick jacket before putting them in the car. That extra layer prevents you from tightening the harness correctly against their body. The Voksi® Poncho does not go between the child and the belts which means that the belt can be correctly fastened. Instead, it acts like a blanket with openings for their arms and there by create a “warmth bubble” for your child. The Voksi® Poncho is made of a soft and cosy quilted fabric in dark grey which is both classic and trendy at the same time. The inner fabric of the poncho is lined with a beautiful print of sweet, hand-drawn stars, twinkling against a white background. And as an extra function the poncho is reversible so your child can choose which colour/pattern to wear to the outside. The front reversible zipper allows easy access and is simple for your child to adjust for warmth or extra ventilation. 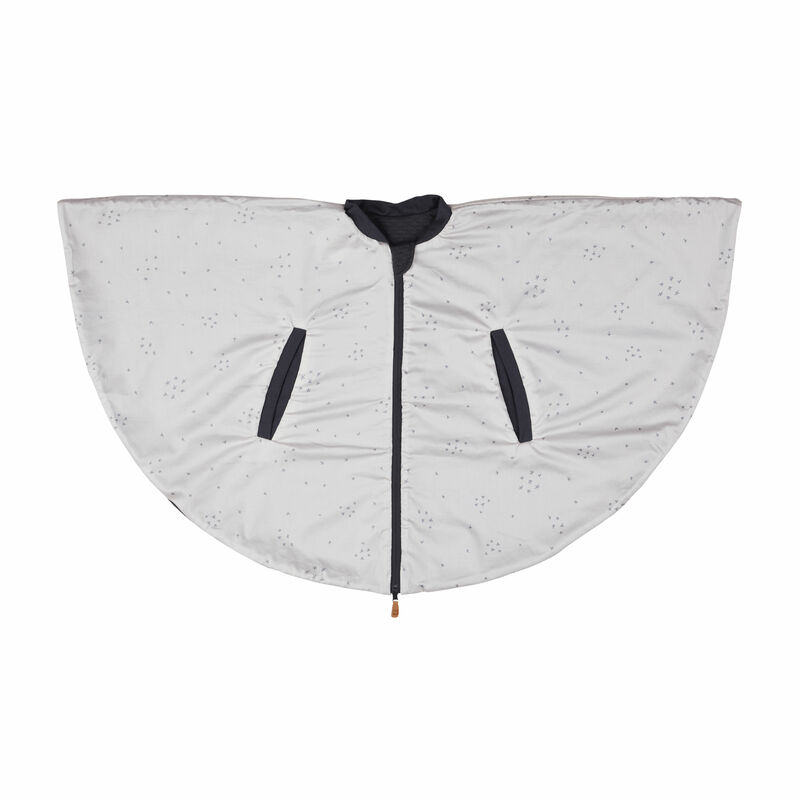 The back of the poncho drapes over the car seat and the front goes over the harness, keeping your child warm without adding any thick layers between child and harness. All materials are approved according to Oeko-Tex® Standard 100, Class 1. Washing instructions: Wash at 40°C with gentle cycle, do not dry tumble, do not bleach, do not iron, do not dry clean. All materials of the Voksi® Poncho are certified according to the Oeko-Tex® Standard 100, Class 1. Oeko-Tex® is an independent testing and certification system for textiles, intermediate and end products at all stages of production. By choosing a product made of Oeko-Tex® certified materials, you as a parent can be sure that your baby is surrounded by materials free from hazardous substances or harmful chemicals.